Mónica is an Emergency Medicine doctor from Spain and is the dotMD cartoonist for 2018 having previously documented the meeting with her amazing cartoons in 2016. She trained in cartoon drawing at the London Art College and since then has been drawing nonstop. Her illustrations are scattered all over in personal blogs, social media but also in places like the Spanish national newspaper El Mundo, the Medical Protection Society (Foundations) or the magazine Spanish Doctors. She has been privileged to draw the cover of medical school books, nursing e-magazines, medical journals, guides for patients and so on. She has published the Spanish Ethics medical code in a comic book called Con-Ciencia Médica with the support of the Spanish GMC. 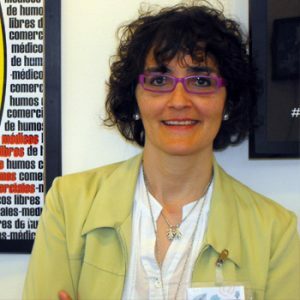 Mónica is the promoter and coordinator of the Spanish Graphic Medicine movement.